According to Hamilton County General Health District Environmental Sanitation Regulation No. 11-47, anyone who engages in the collection and removal of waste (garbage, offal or refuse) within the Hamilton County General Health District’s jurisdiction, must obtain a permit from the Health District. Permits are issued upon receipt, review and approval of the Application for permit to haul garbage or waste in the Hamilton County General Health District. 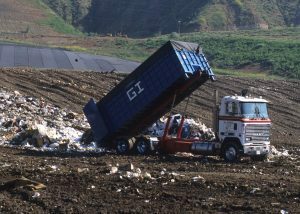 Anyone who is issued a permit to haul waste within the Health District’s jurisdiction will pay an annual permit fee of $20 for each vehicle used to haul waste. Waste must be transported in covered containers.